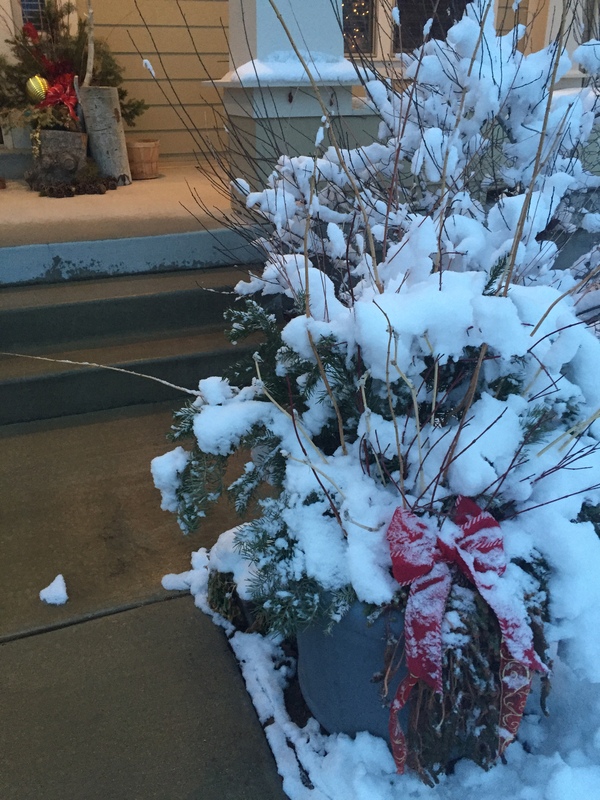 This will be a quick how-to on changing your outside flower pots into Christmas decor. People bring me their pots at my work and I charge them at least $100.00 to do this, so here is a bit of information on how to do them for FREE, yes, free! Then I’ll go back to my usual writing tips. It’s just fun to mix things up for a bit. If you follow me on Instagram, (which you are more than welcome to do) you will see a lot of my plant creations under #taracottapots. I’ve been putting evergreens in my pots for years and finally learned how to do it properly, which turns out, was pretty close to what I was doing all along. It’s very similar to greening a floral vase, only more fragrant with pine and holiday cheer. First – Clean out and cut down the potted plants. Leave in the dirt. Second – Find what you have in your yard. I had some pine shrubs and juniper bushes that needed a haircut, also some mock orange and dogwood twigs that I stripped the leaves off. Fourth – take the two largest sprigs of evergreen and place them in the the center of the pot, or more toward the back, if it is one sided. Pine sprigs tend to bend, so you put them up against each other for support. Like the photo below. Last – Start filling in with the rest of the evergreens. Droop some over the pot. 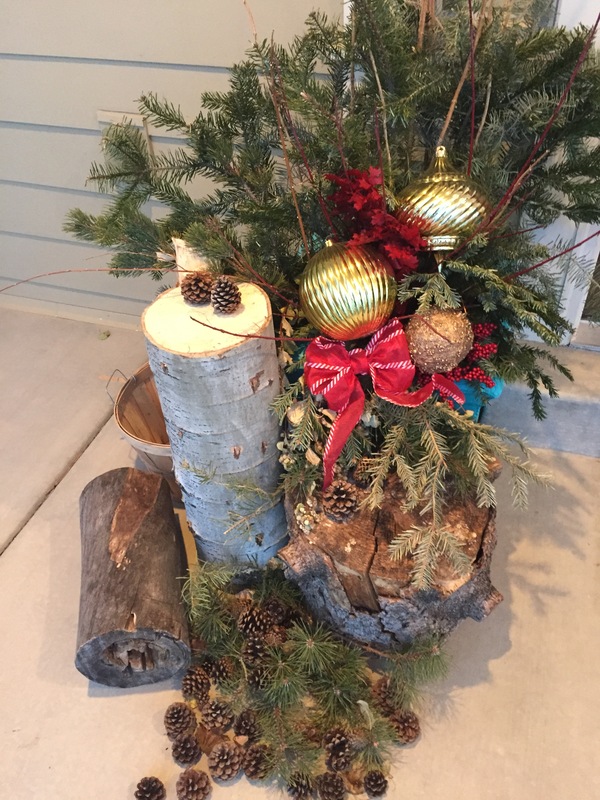 Fill it in with evergreens and twigs and whatever strikes your fancy. 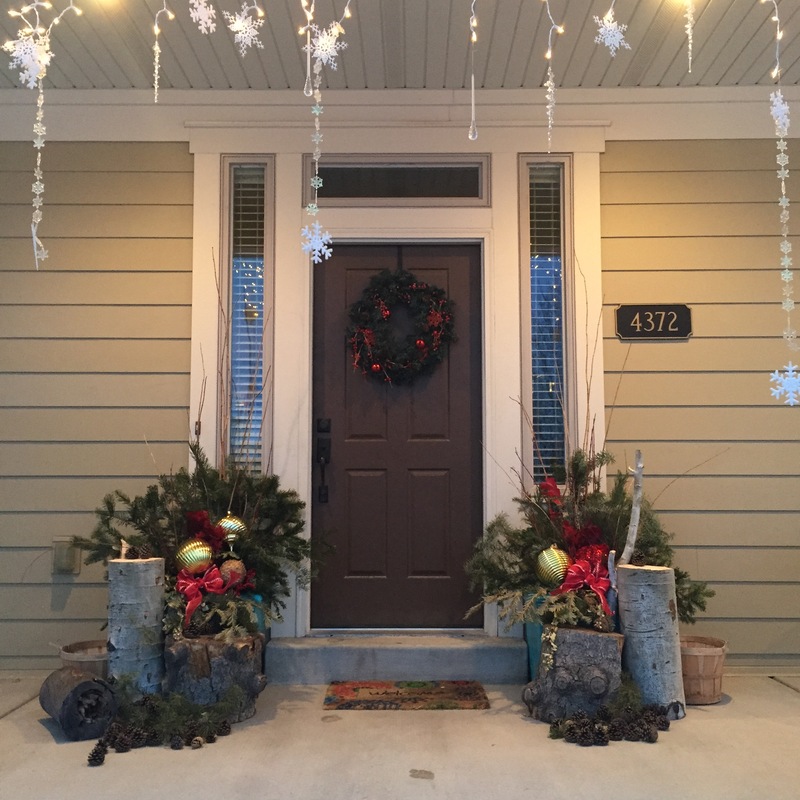 Add Christmas bows or pinecones or ornaments. I was driving down the road and saw a tree cutting company chopping down a beautiful Aspen tree. I slammed on my breaks and swerved over then asked them if I could have a bunch of branches and logs. They laughed as they loaded up my car and told me that in all the years they’ve done this, no one has ever asked for their logs. 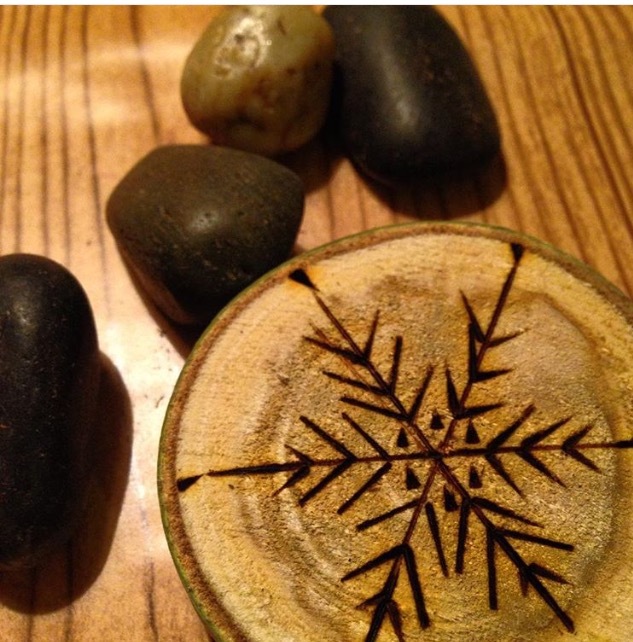 Those remnants of the beautiful Aspen tree has served me well as I’ve slivered the branches, turned them into a Thanksgiving centerpiece, and then wood burned snowflakes onto them for Christmas tree ornaments. Like this one. Anyway, I try to recycle as much yard waste as I can, especially when it can be used for decor. So, there you have it. Easy and free 🙂 And so beautiful in the snow.